Help students gain the skills and knowledge they need with this textbook which is endorsed by ocr and presents the key concepts in an accessible and concise way. 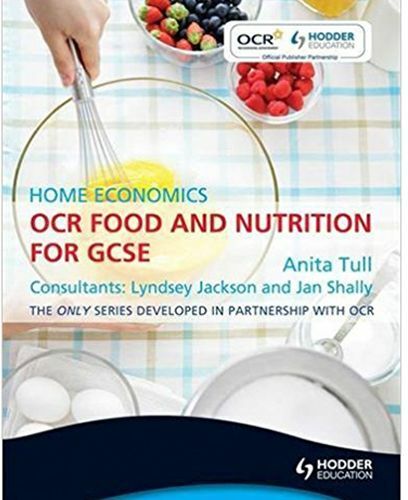 This resource endorsed by ocr for the food and nutrition for gcse specification is illustrated with photos and pictures throughout. It includes a full chapter on coursework preparation for the short tasks and food study task. Ensures students are fully informed with up-to-date coverage of topics such as genetically modified food, fair trade and food legislation provides differentiated activities to support the teaching of students of all abilities prepares students for their coursework and exams with advice and support for the coursework tasks (short tasks and food study task for units 1 and 2) and exam-style questions and mark schemes for the unit 3 paper.